Pickles are pickling in the work-in-progress, food production room at Facility Kitchens. 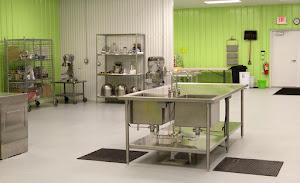 This room is available for food products needing time to set and work, in the process of production. Personal canning Tuesday afternoons starting at 3:30pm; $30.00 at the door; bring ingredients. 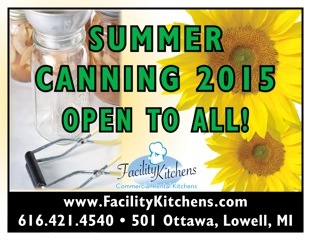 For reservations, email Janet@facilitykitchens.com.